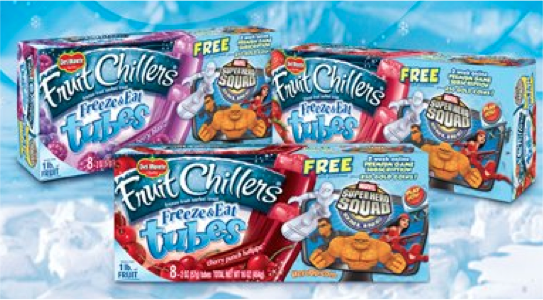 Del Monte featured Marvel Super Hero Squad Online on Fruit Chillers Tubes packaging, along with unique codes for in-game rewards. Created co-branded packaging with promo code inside for a free 2-week game subscription and 250 gold coins of game currency. Supported with social media posts.